Fans of winter swimming and hardening opened their home once more. 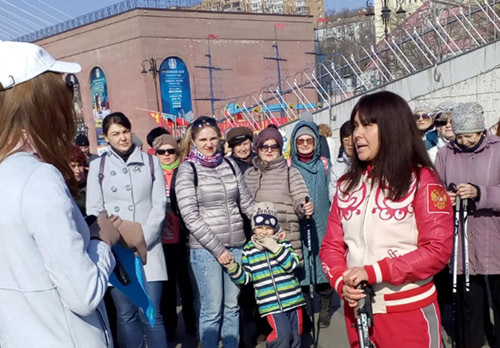 In the sports harbor of Vladivostok, on the Yubileiny beach, a sports center was opened for those citizens who do not close the swimming season. This year, the water surface of the Amur Bay turns into ice very reluctantly. In the sports harbor of Vladivostok on the Yubileiny beach, a sports center was opened for those citizens who do not close the swimming season. But if earlier they were called walrus, now - killer whales. The swimming season in Primorye is not closed, it restarted once more. Summer is gradually becoming winter. This year it is special - for everyone who considers himself a walrus, a seaside seal or a killer whale, and finally, a common house has appeared with changing rooms, a sauna and a kitchen. It smells nicely with fresh wood, there are simulators and hot tea is poured. And outside the window - in the water calling the ice surface. The governor of the region also joined the numerous detachment of the Far Eastern orcas. In two years the first world winter swimming championship will take place in Vladivostok. And this is at least two dozen member countries. Vladivostok will take its results as well! 16.07.2018 Swimmer Vitaliy Obotin won six gold medals at the European Swimming Championships. 19.06.2018 In Vladivostok, the international stage of the Cup of the Commander of the Pacific Fleet "Russian Versta"